Simply put, reading comics is an expensive hobby. Today’s going price is ~$3.99 for a comic book that is rarely more then 30 pages and is read in about 15-20 minutes (if you take your time). The good news however is that comics have made the transition in the electronic world, and with that, the sources of free comics has exploded. File formats are standardized and there are plenty of electronic readers for any device you own, be it your PC, your tablet, or your smart phone. It seems the biggest reason for these is promotion. 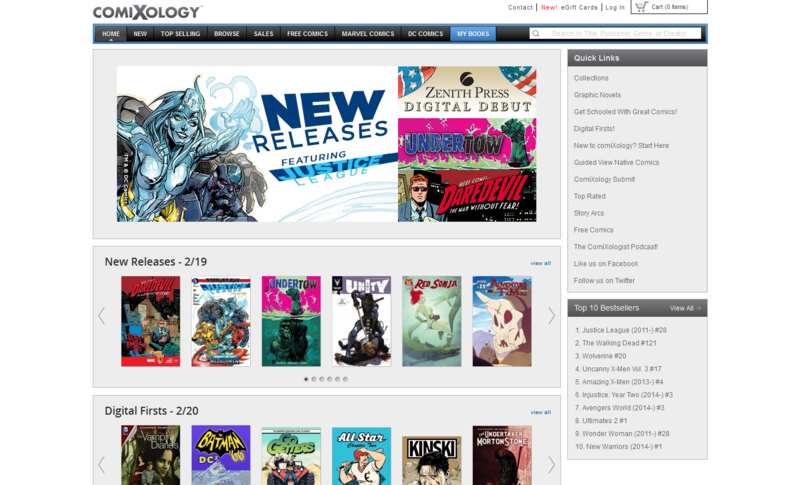 Lots of high end comic publishers are offering first issues for free as somewhat of a “try before you buy” incentive. There is also a large supply of oldschool public domain comics to be had and small but noticeable pool of comics released for free just because the author wanted them out in readers hands that way. 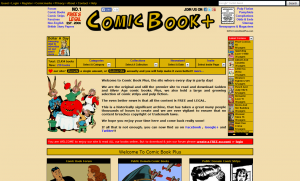 Comics typically come in CBR format which is essentially a collection of compressed images. 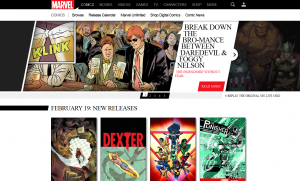 If you are looking for readers to go with your free comics, check out our article featuring the top four viewers across OS and platforms! 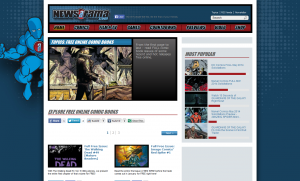 Newsrama is a site primarily devoted to Comic Books but also features Video and Gaming content (also related to Comics!). 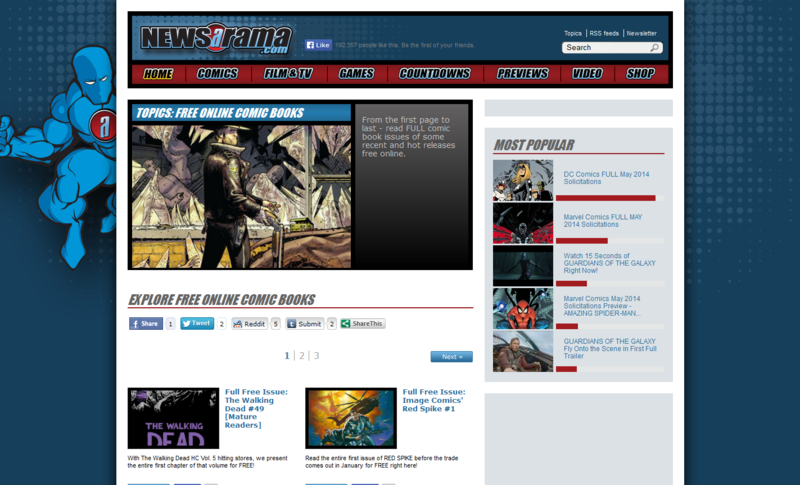 Newsrama itself is a Comic Book eStore but littered amongst the titles are a number of free issues and preview issues. We may need to get a bit crafty to find the free content! Lots of top quality premium comic books here. The list however does not appear to be updated very often so you will not find many brand new titles on their free shelf. The Marvel store I can’t imagine needs any introduction. Marvel is one of the two biggest super hero based Comic Book publishers in the world and home to many of pop culture’s favorite men and woman in capes. The site has a Free Comics section! New comics are added quite frequently but not at a rate that is going to be spinning any heads. ~1 new comic is offered for free each month. 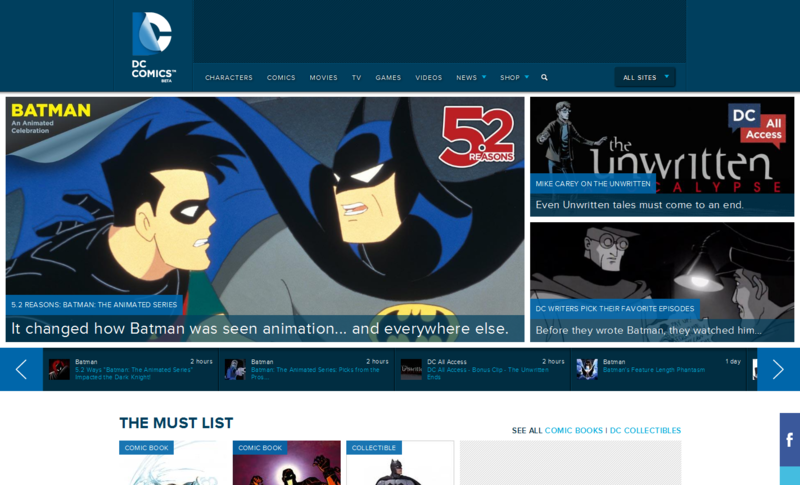 DC Comics, the other site which certainly needs no introduction. DC is the other of the big 2 super-hero based Comic Books and is certainly a household name. 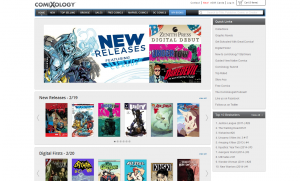 Another big Comic eStore with a free comics offering section! The free section of this store is not big but new content is added semi-regularly making it a great place to keep bookmarked and checking occasionally. The free comics included are premium comics, such as Walking Dead, Locke and Key, Avengers, etc. 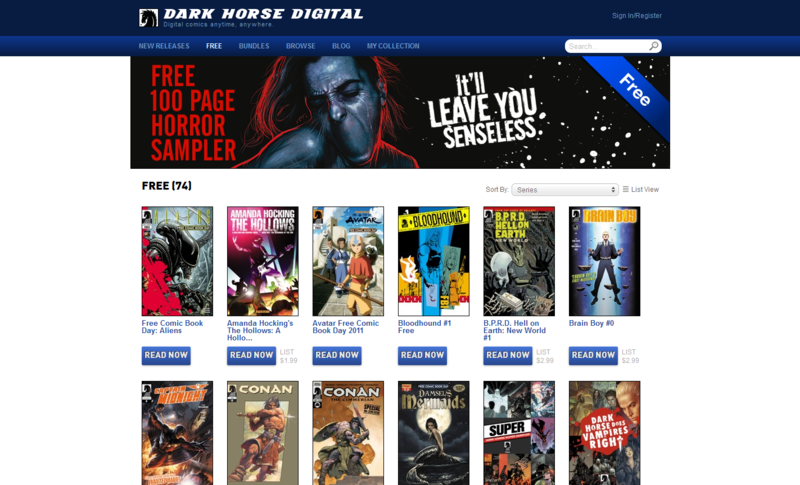 DarkHorse is another big name Comic publisher but perhaps not in as big of a light as say, Marvel or DC. They are home to the extremely popular Star Wars comics, as well as some more adult / darker content such as BPRD/Hellboy. 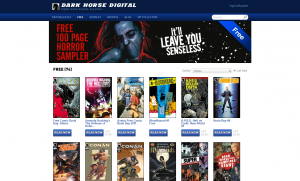 DarkHorse’s site has a nicely labeled free comic section making it easy to peruse! Quite a bit of free content offered and updated regularly. Mostly previews and first issues to give readers a chance to “try before you buy” and find series you might enjoy. If you read my eBook article you are probably familiar with this trick. Amazon has tons of Kindle Books that are either free, or occasionally go on sale for free as a promotion. 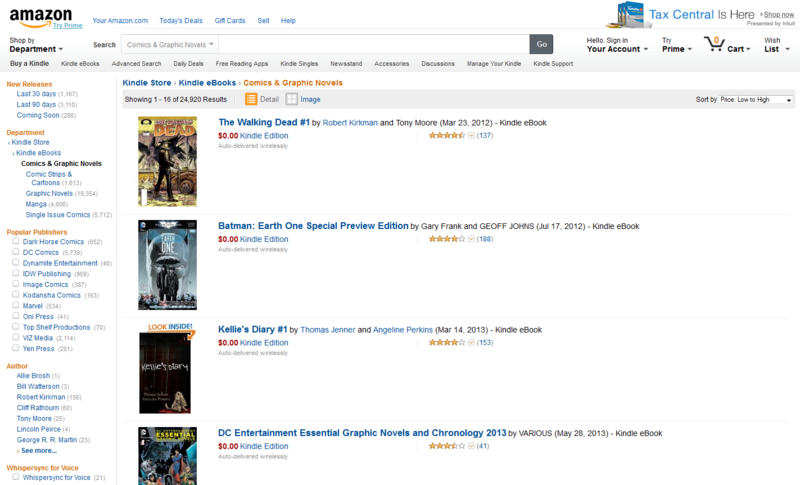 Amazon also has a Comics and Graphic Novels section! 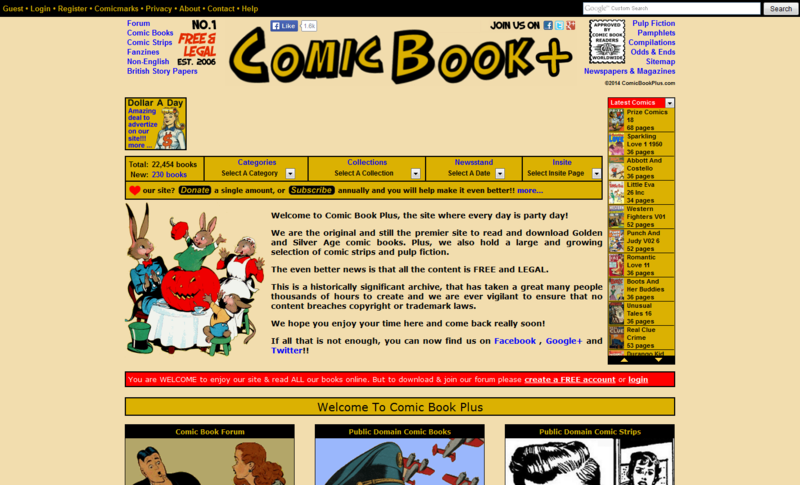 There are also a wide assortment of sites dedicated to Public Domain comics. You will not find much premium content in these sites but if you don’t mind old comics and fan made content, then this may be a great source to try! If I missed any big sources please let me know in the comments and I’ll do my best to keep this list up to date! The intent of the article was for free and LEGAL resources of comics. I fully realize that the copyright infringing leech sites are out there and are a dime a dozen for those wanting to go that route.